ESSO NCESS Recruitment 2017 Notification: Earth System Science Organisation (ESSO) National Centre for Earth Science Studies (NCESS) has published an employment advertisement on its official web page which is www.incois.gov.in. The officials of the ESSO NCESS is looking for the capable and eligible aspirants to fill up 73 Project Assistant, Project Scientist-C, Project Scientist-B, Research Associate, Laboratory Assistant, Senior Programmer and Junior Programmer vacant positions. Candidates who are looking for the latest Central jobs in India they can apply for these openings before the last date of the application form i.e., 15-09- 2017. Interested and willing applicants can apply for this ESSO NCESS 73 Project Assistant, Project Scientist-B, C And Other Posts through online mode and no other mode will be accepted by the officials of the ESSO NCESS. According to the official employment notification candidates who are ready to apply, they must satisfy all the official requirements as per rules of the notification. Check this page to get more details about the ESSO NCESS Recruitment 2017 Notification. As per rules, willing aspirants to these ESSO NCESS Recruitment 2017 Notification must obey the eligibility. Aspirants with a Master’s Degree in Geophysics with minimum 60% marks or equivalent from a recognized University in qualifying degree are eligible to Project Scientist C Posts. Candidates who are ready to apply for the Project Scientist B and Research Associate job they must possess the Master’s Degree in Physics with minimum 60% marks or equivalent from a recognized University in qualifying degree. First class Post-Graduate Degree in Chemistry/Environmental Sciences from a recognized University are eligible to apply for the Project Assistant Posts. For other posts check the below provided information. You can also check the Syllabus and Previous Year Question Papers For the ESSO NCESS Recruitment 2017. Keep in touch with us sarkarirecruitment.com to get very important details regarding the ESSO NCESS Recruitment 2017 Notification like latest Syllabus and last 5 years previous papers in pdf file. While the age limit is between minimum 28 years to the maximum of 40 Years and For age relaxation check the official ESSO NCESS Recruitment 2017 Notification which is attached below sections of this page. Candidates those who had applied for these positions before the last date have to attend the recruitment process which is conducted by the officials of the Earth System Science Organisation (ESSO) National Centre for Earth Science Studies (NCESS). The selection rounds will be written test and interview as per ESSO NCESS Recruitment 2017 Notification. The officials of the Earth System Science Organisation (ESSO) National Centre for Earth Science Studies (NCESS) will offer good pay for the selected candidates. These pay band may vary with the post to post so check the below sections to get post wide pay band details. Project Scientist B and Research Associate – Candidates who are ready to apply for the Project Scientist B and Research Associate job they must possess the Master’s Degree in Physics with minimum 60% marks or equivalent from a recognized University in qualifying degree. 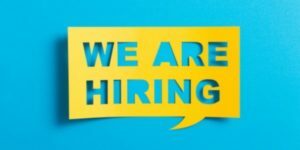 Junior Programmer Posts – Candidates with a First Class BE/B.Tech in computer science or First class PG in computer science & One year work experience in office and other Web based applications are eligible to apply for these Junior Programmer Posts. Candidates who are willing to apply they must pay the application/examination fee as per rules so read the ESSO NCESS Recruitment 2017 Notification to get details about the application fee. Candidates those who had applied for these positions before the last date have to attend the recruitment process which is conducted by the officials of the Earth System Science Organisation (ESSO) National Centre for Earth Science Studies (NCESS) . The selection rounds will be written test and interview as per ESSO NCESS Recruitment 2017 Notification. On home page check for the ESSO NCESS Recruitment 2017 Notification.